An enclosed garden for small pets. We pride ourselves on affordability focusing mainly on the local South African tourist and business sector. <br /><br />High season, school & public holidays as well as long weekends carry a surcharge. <br /><br />We are located in an upmarket area in but offer a budget facility to make it affordable for all. We are frequented by reps, company workmen and families due to this and often used as a one night stop for groups. <br /><br />We have full DSTV available in the central guest lounge. <br /><br />Prices quoted exclude breakfast but any meal can be included; Build your own Breakfast it is R20 basic charge plus what you choose/ person additional, lunch R150/person and dinner/R250/per person for a 3 course meal and R150/person for a 1 course meal. Bookings are essential as everything is prepared fresh as mother-nature intended it. <br /><br />We are pet friendly and charge a rate R80/day per pet for their stay. <br /><br />We have a R400 refundable deposit payable on arrival, for keys & remote and damages.<br /><br />We request that all additional guests who visit you report to reception on arrival and pay the full day visitors or overnight fee immediately. If unverified guests are seen on the property and linked to you as our guest, you will forfeit your deposit. Please note that right of admission for all is reserved. <br /><br />As we offer a basic family stay, please do not expect luxury amenities, as we would hate to have you arrive and be disappointed. Our ultimate aim is customer satisfaction, and we offer country hospitality within an affordable environment. The guesthouse is owner managed. <br /><br />Situated at the foothills of the Outeniqua mountain range, close to George Botanical Gardens with day hiking trails only a footstep away. We are within walking distance from the SWD rugby stadium (OUTENIQUA PARK), as well as the George Provincial Hospital and close to Medi Clinic private hospital, Geneva clinic and plastic surgery clinic. <br /><br />For the summer months our facility has a great pool and Jacuzzi (R100/45 min session) facility is available (bookings essential on Jacuzzi). 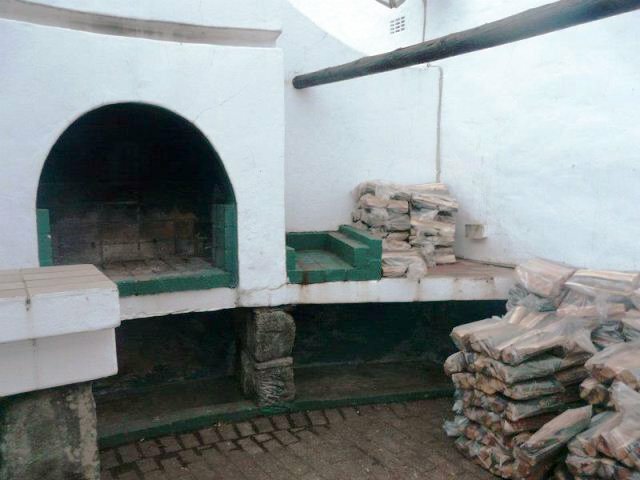 We also boast two lovely external braai facilities and wood can be bought on site, the flats also each have their own loose standing braai). 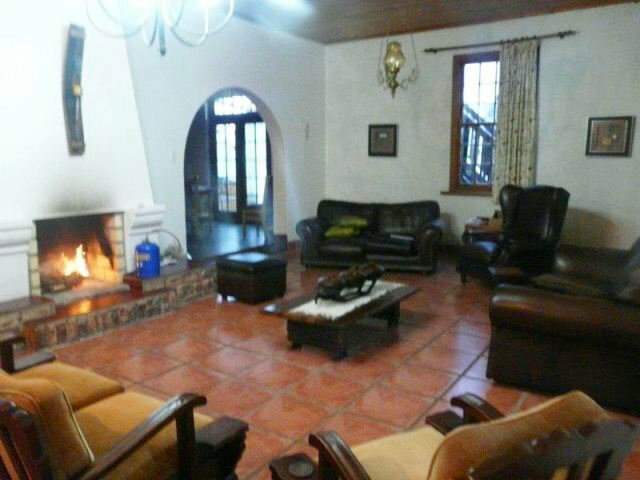 There is a games room that has a pool table, dart board and many other board games.Two lovely fire places in the sitting room and THE AFRICAN NIGHTS Room to enhance the ambiance of this great old Cape Dutch house. <br /><br />We offer additional services to ensure a memorable and relaxing time with our establishments. They include: Laundry at R30/kg, babysitting at R50/hour & car wash at R80 exterior and R80 for the interior. Booking and payments at reception. <br /><br />We thank you for choosing our establishment. <br /><br />Remember to like our F... page. <br /><br />WE HAVE A STRICT NO INDOOR SMOKING & NO NOISE AT ANY TIME OF THE DAY POLICIES! PLEASE RESPECT THIS FOR THE SAKE OF ALL OUR GUESTS. <br /><br />CANCELLATION & BOOKING CHANGES POLICY (STRICTLY APPLIED)<br />1. 60 DAYS PLUS PRIOR TO ARRIVAL DATE 50% FORFEIT OF FULL QUOTED VALUE <br />2. 30-59 DAYS PRIOR TO ARRIVAL DATE 75% FORFEIT OF FULL QUOTED VALUE <br />3. ARRIVAL -29 DAYS & NO SHOWS PRIOR TO ARRIVAL DATE 100% FORFEIT OF FULL QUOTED VALUE <br />4. PLEASE BE CERTAIN OF YOUR BOOKINGS FOR THE FESTIVE & HIGH SEASON AND LONG WEEKENDS AS WE ONLY DO REFUNDS IF AN IMMEDIATE FAMILY MEMBER OF THE BOOKER PASSES AWAY. REGARDLESS HOW LONG IN ADVANCE YOU BOOKED. REFUND ON PRESENTATION OF DEATH CERTIFICATE. <br />5. NO PARTIAL REFUNDS FOR CHANGES MADE TO YOUR BOOKING BY THE CLIENT OR ANY EXCHANGES WHAT SO EVER.<br /><br />Management accepts no liability for any loss or damage to property or any injury or accidental death to persons entering this property. You do so at your own risk. All children under the age of 12 years must be accompanied by an adult at all times.<br /><br />With payment of your deposit you acknowledge that you have read this document which accompanies all quotes.<br /><br />RIGHT OF ADMISSION IS RESERVED. PLEASE BE CURTEOUS TO OTHER GUESTS AND STAFF. Common decency does not cost a penny, it is a choice.<br /><br />REMEMBER OUR TWO KEY FOCUS AREAS ARE RE-CONNECTING FAMILY AND AFFORDABILITY FOR SOUTH AFRICANS <br /><br />Please note we are down to earth people and we invite those that are like minded to stay with us. Please do not arrive paying our affordable price and expecting 5 star luxuries. <br /><br />Regards <br />Juan & Mariana <br />The Farm House <br />COME REST WELL MY FRIEND! "very poor self catering unit"
"The unit smelled and the linen was so thread bare. The pillows had long since seen better days - two pillows in a pillow case. There was only one blanket and no electric blanket and the room was extremely cold.Self catering was some what impossible as there was only a saucepan and a large pot. The bath room left a lot to be desired, there was not even a bath mat on the floor.The host were not very welcoming at all. They would not open the gate for us to pull the car in till I had till I had filled in a form and paid a key deposit. This I find in very bad taste. I had not yet received the keys when I was asked what time will I be leaving. I would most certainty never go back or advise people to go there. This was by far the worst place I have ever stayed in." "I was going to skip reviewing - something better left unsaid - but their failure to honour a verbal agreement on my departure has left me feeling uncharitable. The room had wet carpets, it smelt damp, the shower drain stank but the shower is good, the cupboards smelt musty, the blankets were plentiful but dirty, and the linen had burn marks from an iron. The bed was comfortable (aside from the polyester linen) but under the window, which meant you either had fresh air and froze, or inhaled the mouldy smell. 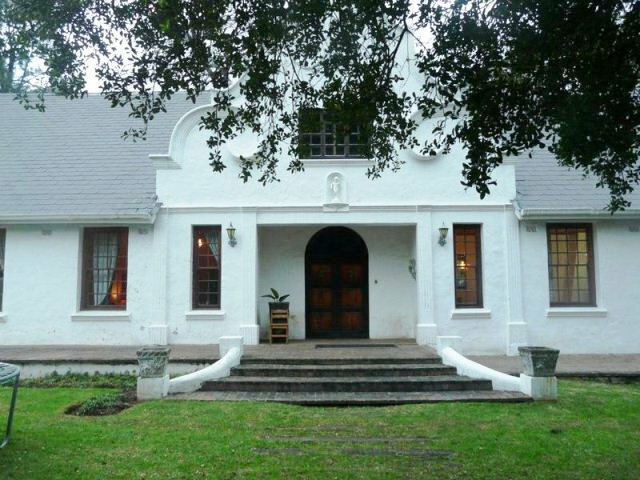 It is a lovely old house, with a good front stoep. 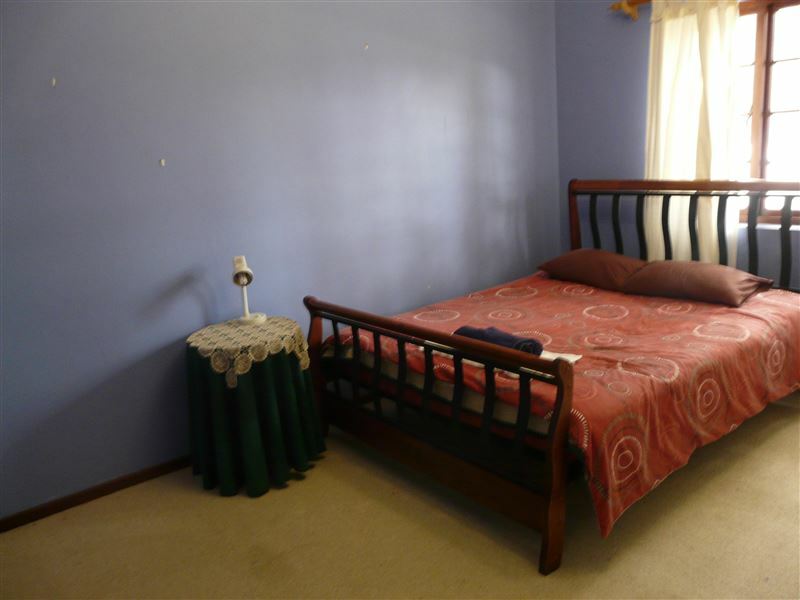 Perhaps the other bedrooms are better - don&apos;t ask for the blue room. And get any agreements in writing." "Good location, good service and value for your money"
"I received the most friendly and helpful reception, so lovely and great first impression of the B&B. The owners couldn&apos;t have been more sweet and they ensured that I would leave with a good impression. Everything about the B&B was good. 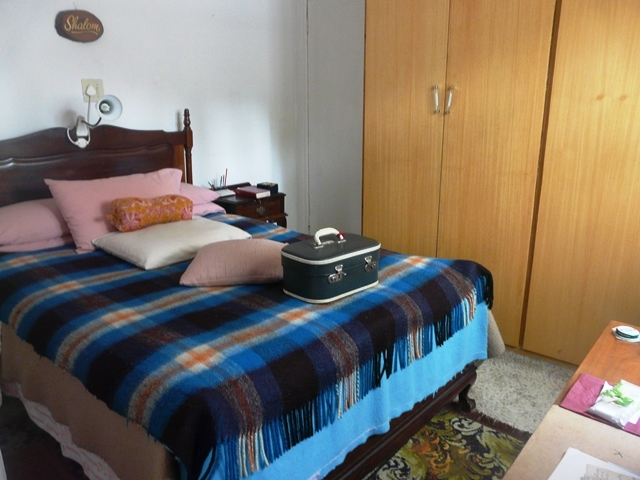 It was clean, in a good location, roomy, with excellent service and great value for money. The room itself was well equipped and comfortable. I was very pleased with my stay, and although it was short and sweet, I&apos;ll surely go back for a longer visit in the future." "Friendly owners. 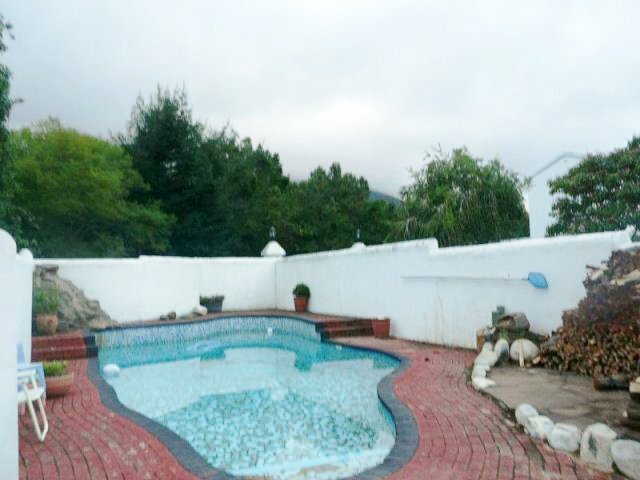 House needs little maintenance"
"Serene and quiet , clean and practical , this is a must if you need to stay in George." "Loved nothing,new bed linen would be a recommendation." "When we arrived Juan seemed to confuse us with other people, till I showed him the confirmation letter I had. We were tired and just wanted to have some dinner and go to bed.The apartment we were given was shabby. We are three ladies all in our 70&apos;s and I being the youngest had to get up onto a wobbly bunk bed with no ladder but only a &apos;bankie&apos; to stand on. Carpet and sleeper couch were filthy. Light fittings broken and an excuse for a net curtain in the bedroom. The Breakfast they offered was very expensive ie R5.00 per egg, R15.00 for a piece of bacon etc plus an extra R20.00 preparation fee. We feel we were just shoved into the last available space in their establishment. 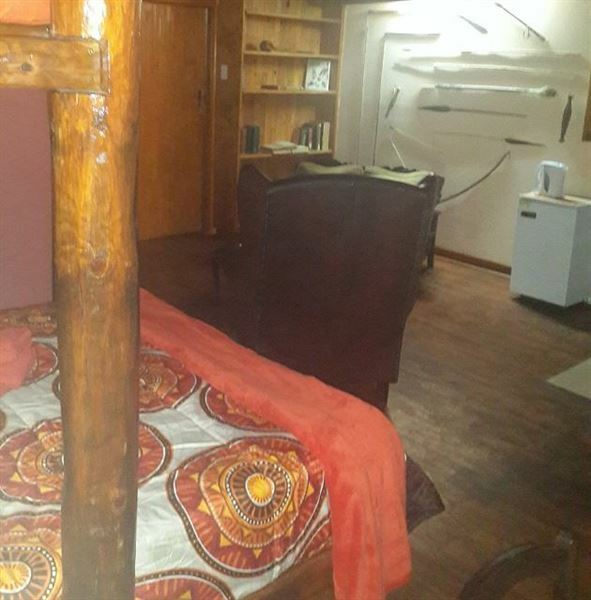 It was only R249.00 per night per person but we still would have expected clean, and neat and simple rooms for the price." "No stars - not recommended"
"Very old interior, dirty carpets, scanty curtains, linen, only shower and toilet with cheapest handwash and spray ... creepy atmosphere. Flatlet is divided by door to another room and can hear other people clearly. 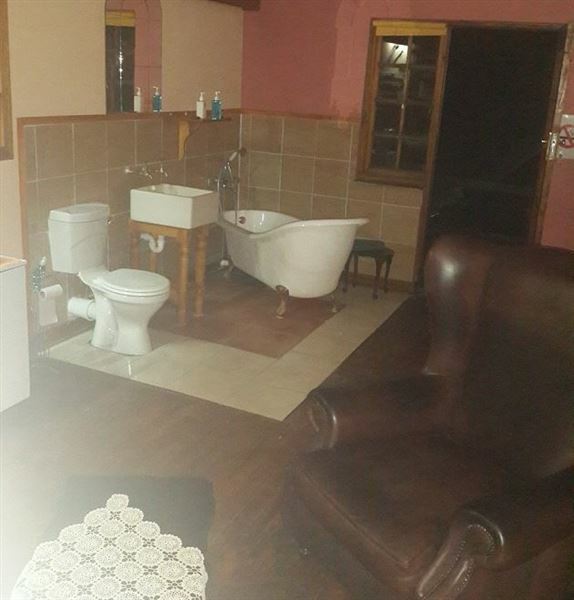 For R1200 per night? Never ever again. 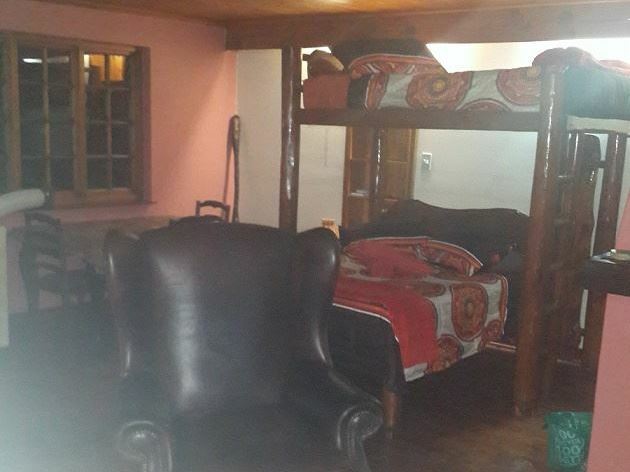 Only stayed for the night as we could not find any other accommodation in George for the night." "Great place to overnight. Very clean. Being able to have our dog with us is great. Friendly people and very quiet."